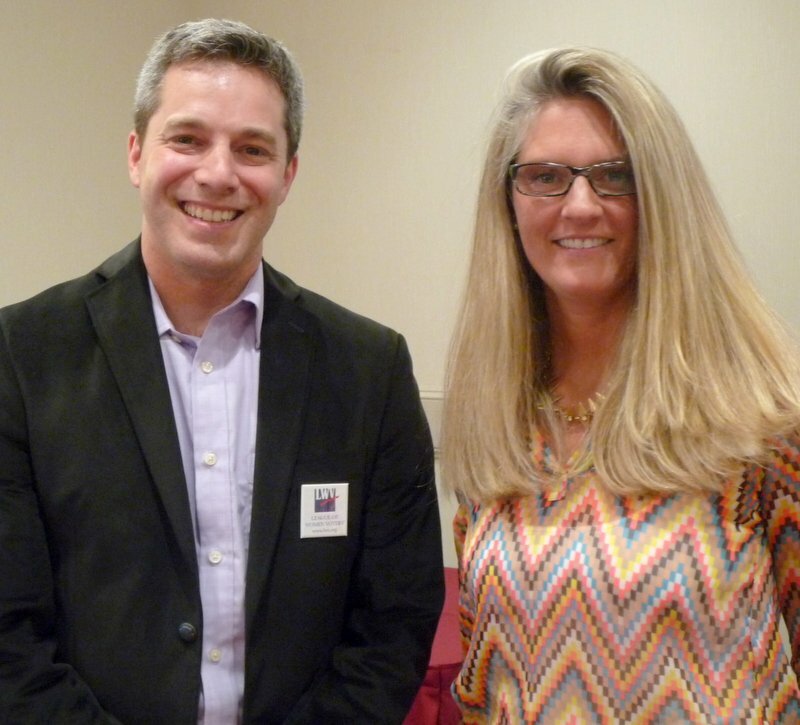 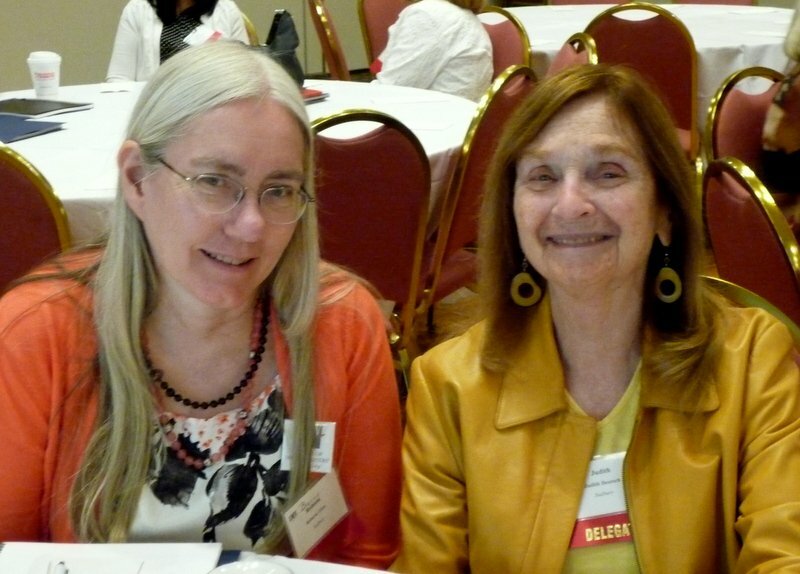 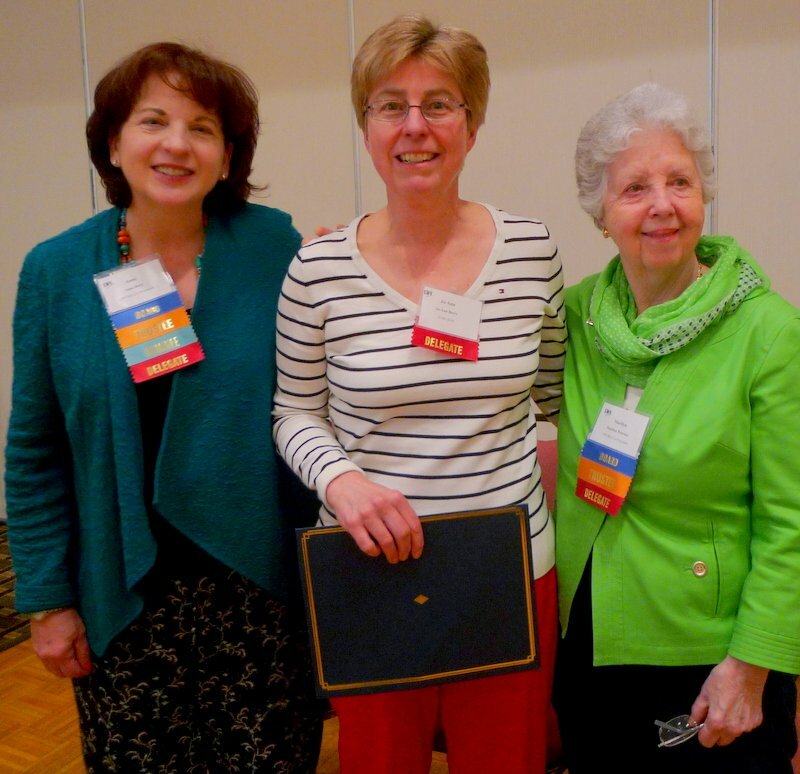 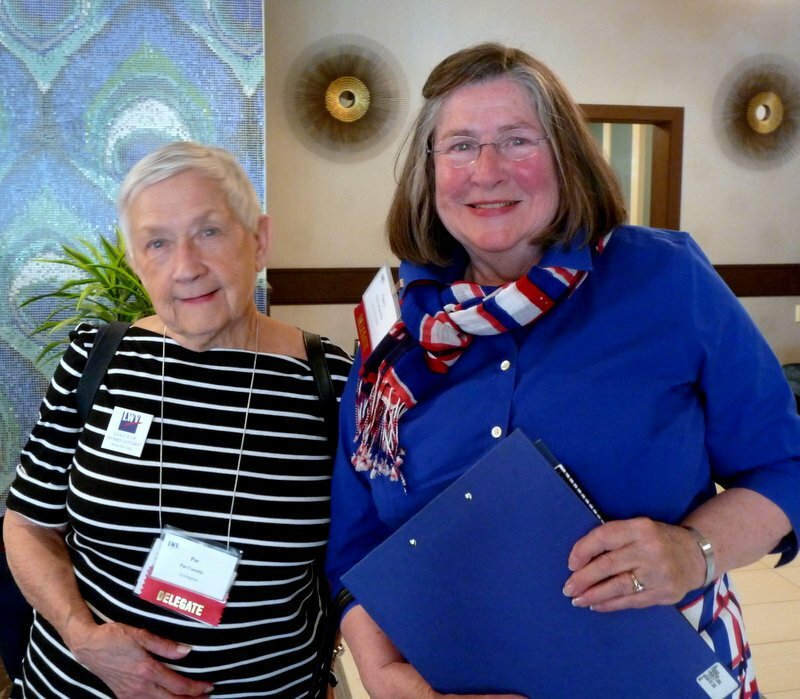 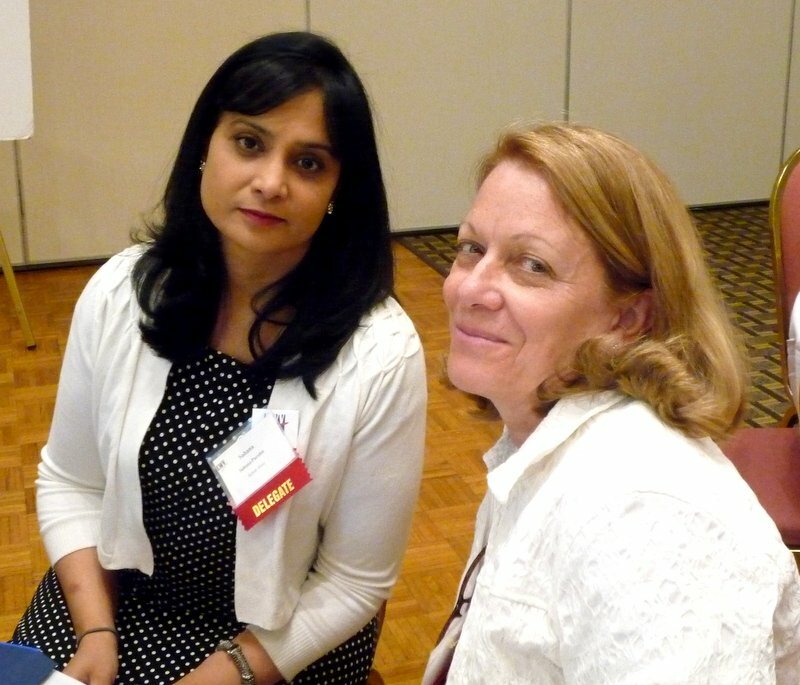 Members of Leagues around the state, gathered in West Springfield for the 2015 LWVMA Convention, elected Anne Borg of the Newton League and Jean Cherdack of the Northampton Area League as co-presidents of the state League for the next two years. 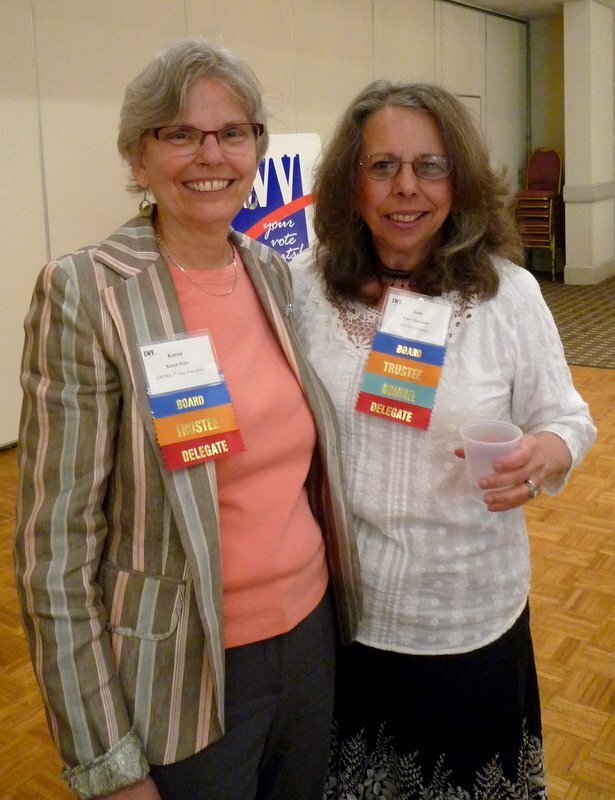 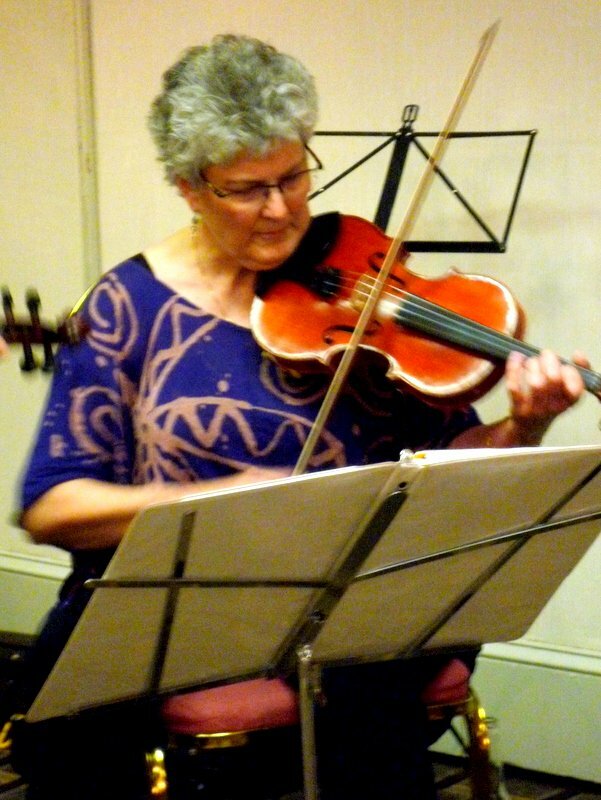 Anne has been co-president and Jean has been a director for the past two years. 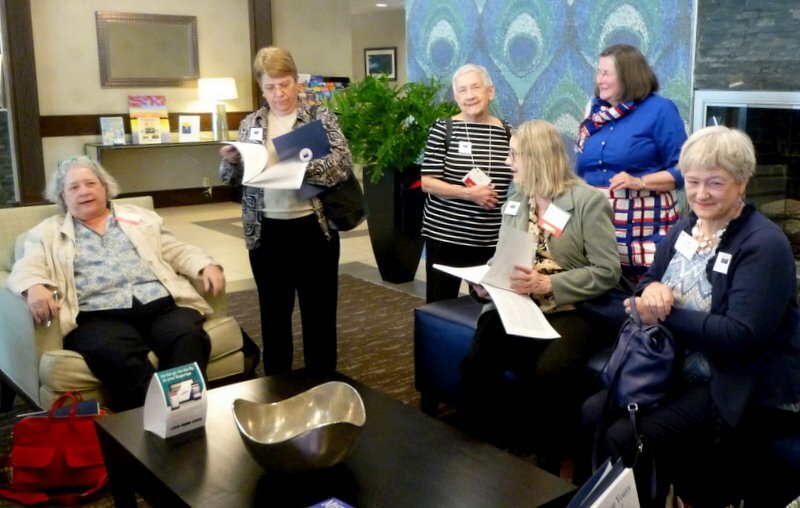 The Convention also approved a two-year state study of charter schools with the aim of developing a position on this subject to be presented to the 2017 Convention for approval. 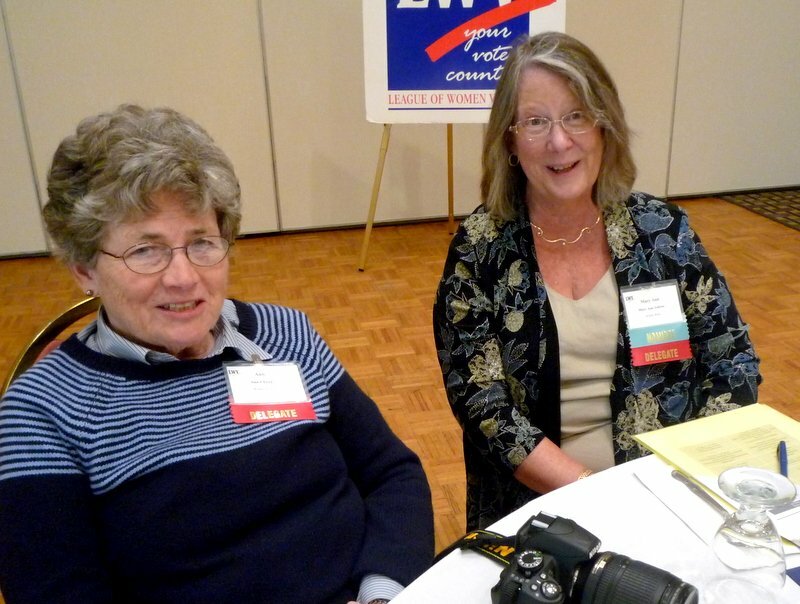 The LWVMA board will appoint a committee to determine the scope of the study and to develop information and consensus questions. 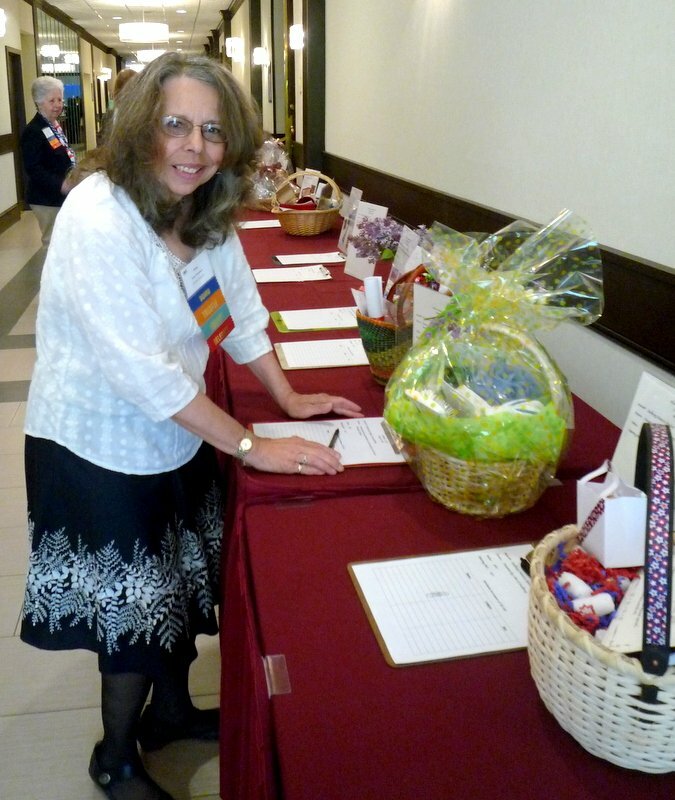 Any League member interested in serving on that committee can contact Anne Borg. 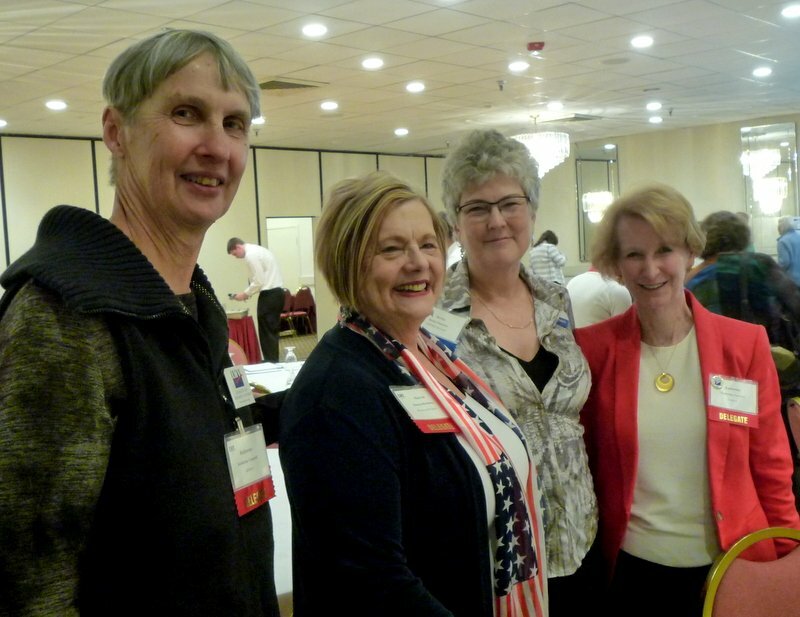 The other officers elected at the May 15-16 convention are Marlene O’Brien of Wellesley, first vice president; Dee Ortner of Concord-Carlisle, second vice president; Karen Price of Needham, third vice president; Shelley Drowns of Waltham, secretary; and Andrea Kozinetz of Newton, treasurer. 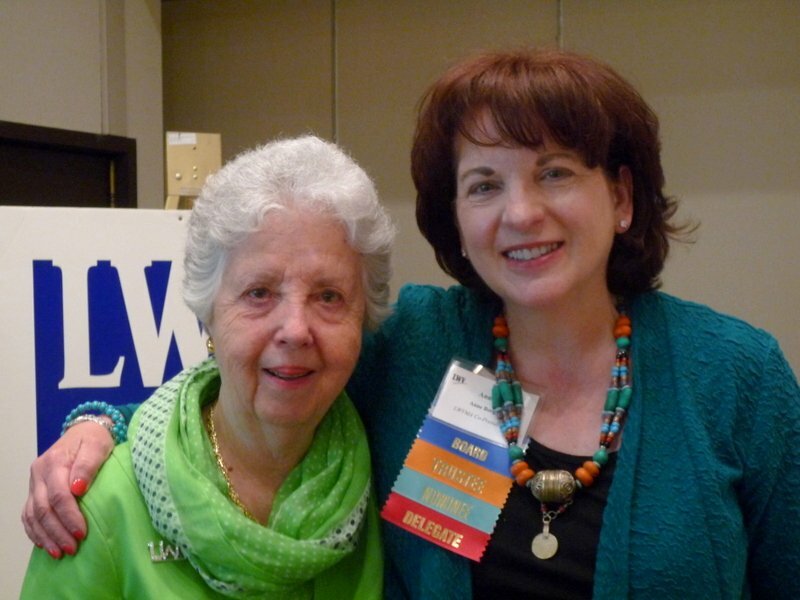 Elected as LWVMA directors are Mary Ann Ashton of Acton Area, Roslyn Broch of Williamstown, Nancy Brumback of Sudbury, Melisa Hollenback of Shrewsbury, Carole Pelchat of Greater Haverill, Terry Yoffie of Newton, and Launa Zimmaro of Concord-Carlisle. 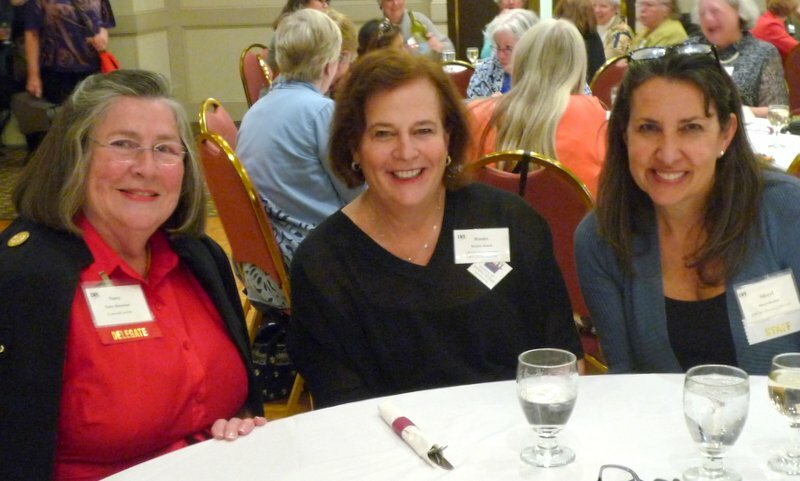 Lee Bona of the Worcester Area League was elected chair of the nominating committee, and the off-board members of that committee are Sandra Daly of Grafton and Lynn Wolbarst of Sharon-Stoughton. 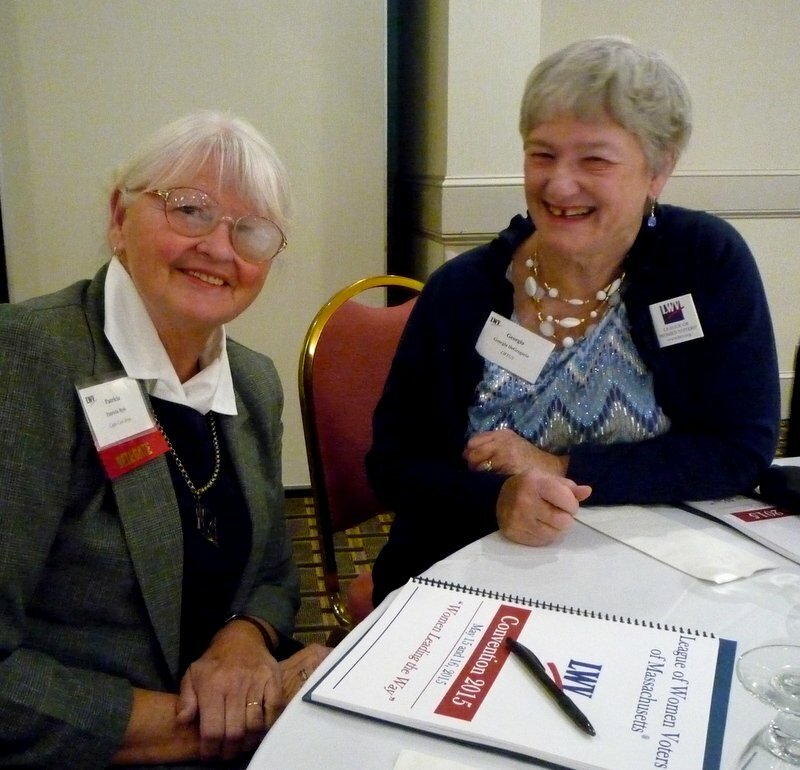 Jo-Ann Berry of Acton Area received the Above and Beyond Award for her voter service and moderator work, and Karen Price of Needham received the 110% Award for her work on the board in membership and other areas. 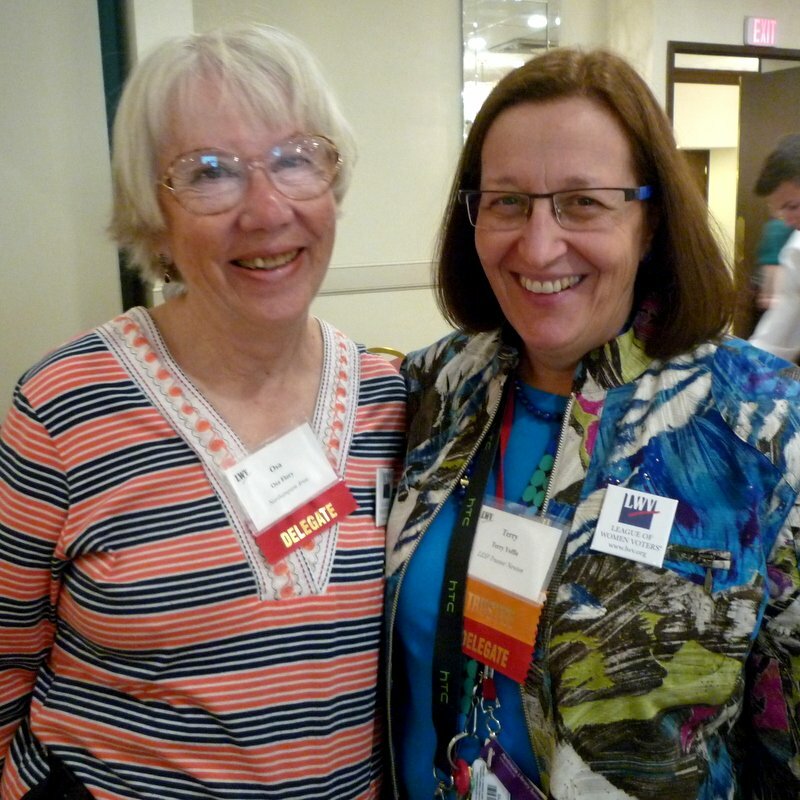 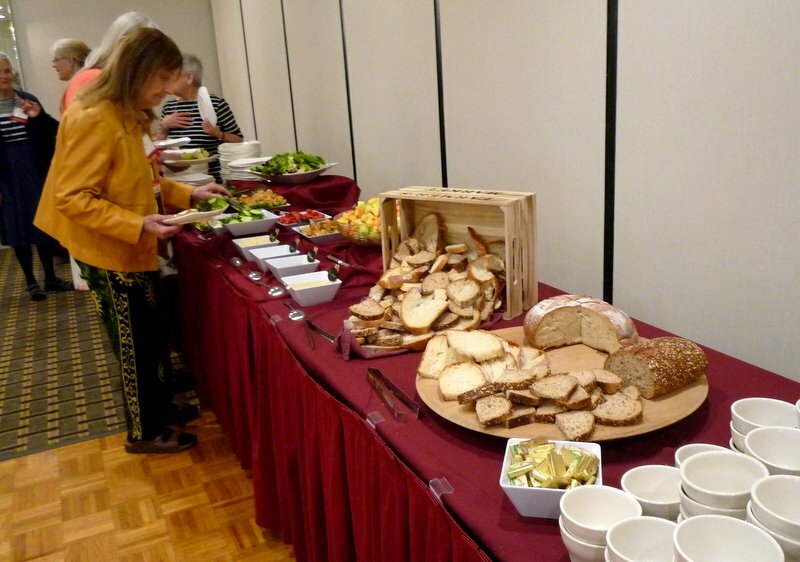 The Convention also gave thanks and a standing ovation to the two women leaving the board, co-president Marilyn Peterson of Acton Area and director Becky Shannon of Northampton. 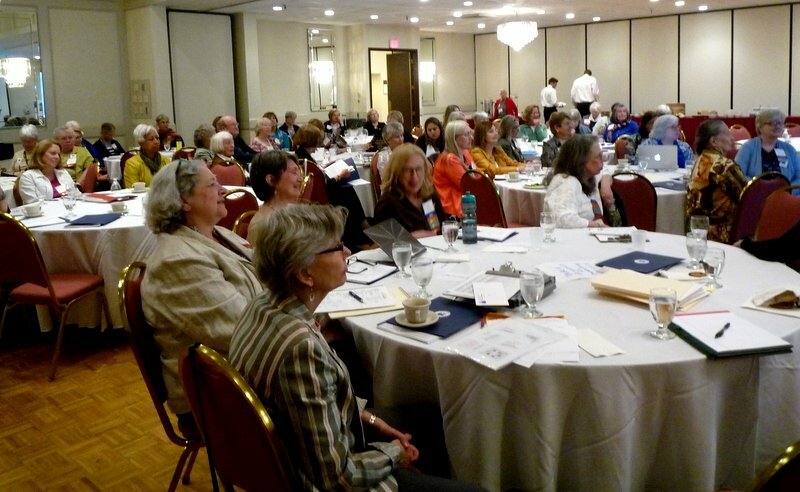 As action items for the coming two years, the Convention approved a strong voter registration, information and education program centered on the 2016 election; development of an action plan on civic education and engagement; and extension of a committee to review and report on election-related technology. 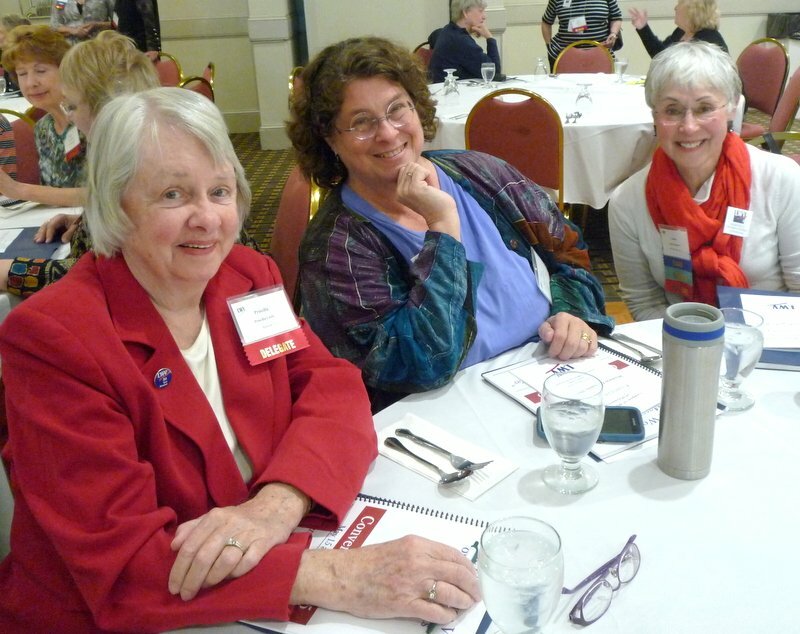 LWVMA action priorities for the biennium will be improving elections and voter turnout; civic education and engagement; money and politics; climate change and the environment; and addressing income inequality. 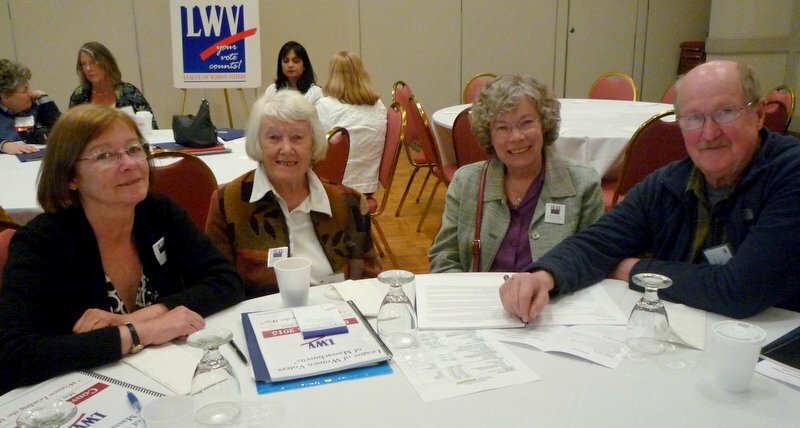 The Convention welcomed members of the newly-formed Springfield unit of the Northampton Area League, who are working actively in voter activities in Springfield and who hope to eventually form an independent League in that city. 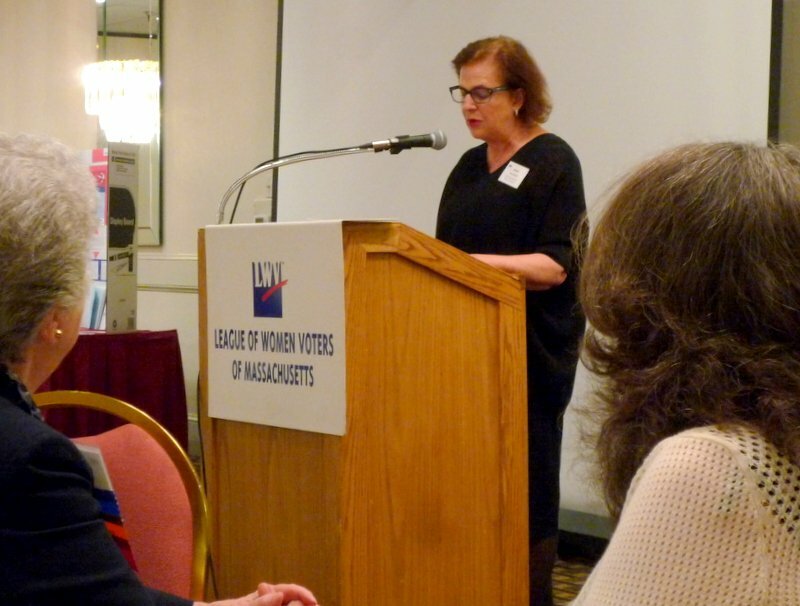 Rosalee Keech, an LWVUS director and the LWVUS Observer to the United Nations, detailed her experiences in both those areas as the Friday evening speaker. 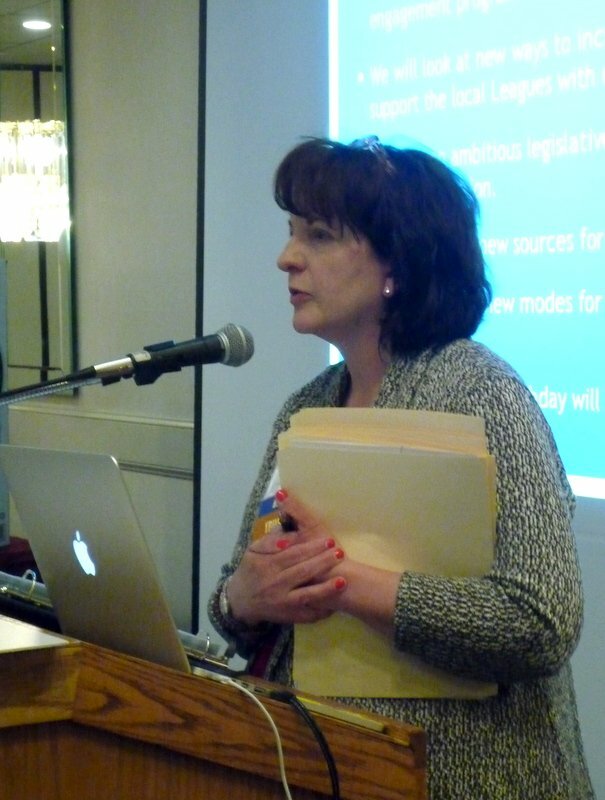 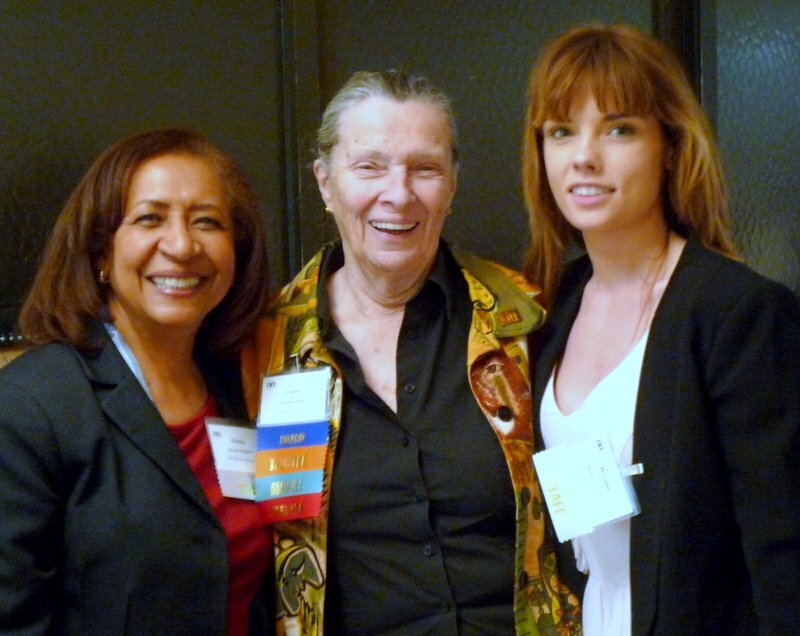 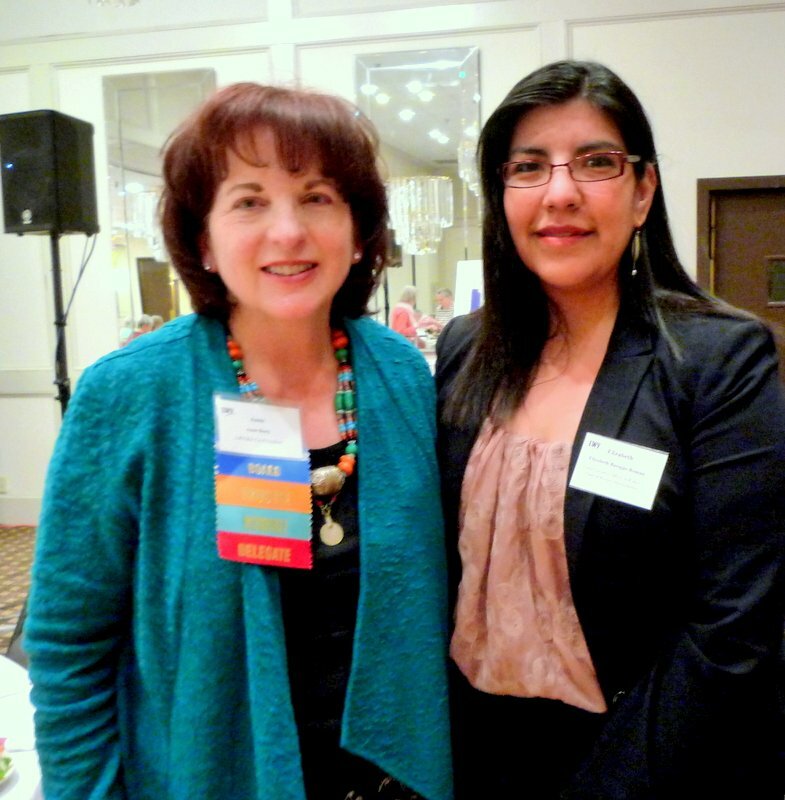 Elizabeth Barajas-Román, CEO of the Women’s Fund of Western Massachusetts, was Saturday’s speaker. 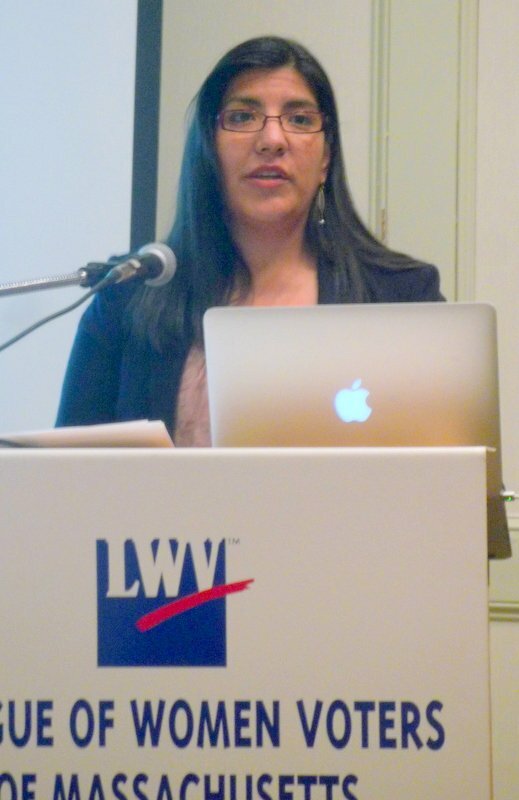 Ms. Barajas-Román works to fund programs improving the lives of girls and women in that region, and she discussed that work and how the League might help.